Did you know that humans are NOT the only mammals with cannabinoid receptors. In facts, cannabinoid receptors are found in most mammals, plus some reptiles! Cannabis can be especially helpful for older dogs suffering from hip dysplasia and glaucoma, common issues with a majority of older pets.< Cannabis helps to alleviate pain, stimulate appetite, and lead to a better quality of life. 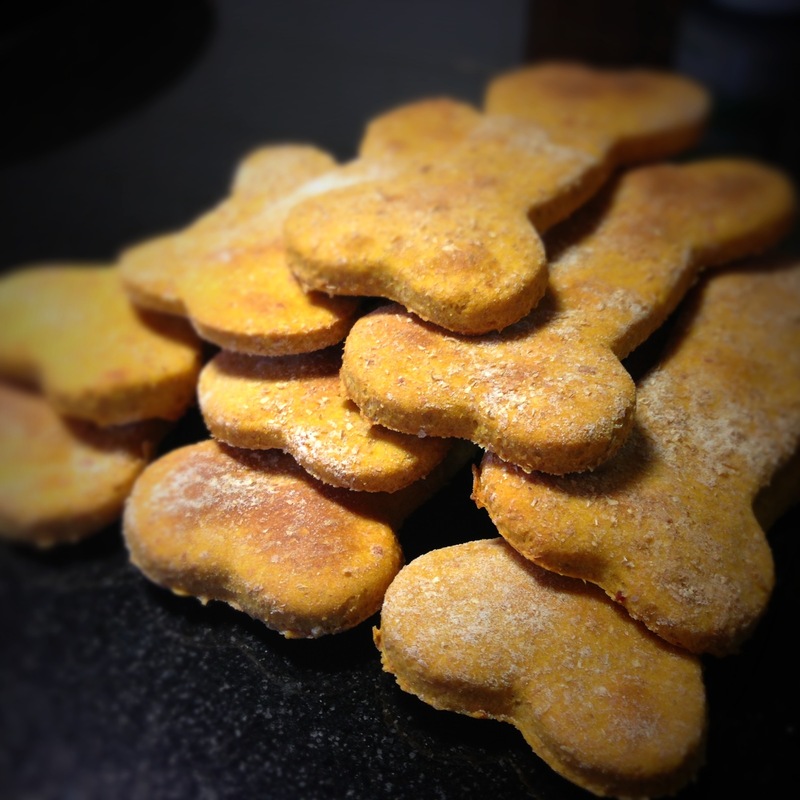 Cannabis-infused tincture is one of the best forms to cannabis to give to your pet, however, these homemade cannabis infused dog treats will have your pup licking their chops for more! Plus, the pumpkin helps to alleviate any stomach issues, and promotes healthy digestions. Plus, it’s a great way to use any leftover jack-o-lanterns from Halloween! Mix your pumpkin, egg, and salt together. Let the treat cool-down for 10 minutes before basting with melted bacon grease & cannabis butter.